Want To Try AlphaDroid Investment Portfolio Management Software? Modern Portfolio Theory (MPT) is no longer an effective investment strategy to follow. MPT fails to consider that a rational investor has choices other than buy-and-hold diversification. Plus, MPT can lead to RIAs to keep investors locked into investment decisions based on forecasting models that don’t adapt to ever-changing market conditions. Rather than supporting a buy and hold strategy, AlphaDroid supports an Active Management Strategy. AlphaDroid can reliably pull information from market data to better identify which asset classes are showing strengths and other investment opportunities to help advisors attain profits while potentially mitigating risk and losses. Investors can stay on top of their portfolios by getting a complete picture of their performances and being better equipped to analyze, construct, and compare the investment portfolios they are managing. 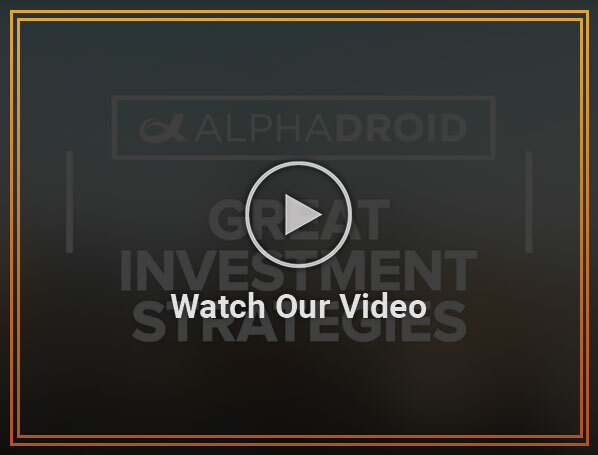 AlphaDroid is equipped with various ready-to-use investment strategies. An AlphaDroid Strategy consists of a selection of up to 12 ticker symbols with a few trading rules, crash protection options, and performance testing options. AlphaDroid allows up to 500 active investment strategies for managing client accounts, as well as 200 portfolios to organize multiple stratagies in each client’s portfolio. AlphaDroid’s StormGuard Market Crash Protection algorithm monitors overall market health and advises investment strategies to move to safety during a market storm. This helps investors avoid crippling losses from market dips or long-duration bear markets. AlphaDroid’s financial planning tools allow advisors and investors to create an investment strategy from scratch. With AlphaDroid, financial investors and traders can better analyze, construct, and compare investment portfolios. Using powerful algorithmic trading strategies and sector momentum measurements, AlphaDroid’s portfolio allocation software can help identify which portions of the market are likely to outperform near term, enabling advisors and investors to indicate the risk and returns of a client’s portfolio.